If you work many hours and love your job, you probably believe people when they tell you that a little bit of stress never harmed anyone. In fact, it’s good for you! And relaxation is not even on your radar. Maybe you beam and agree. Yes, it sure feels good to finish a twelve-hour day pumped, adrenaline pouring out of you. You’ve nailed those sales, grown the business, and now a great weekend is ahead of you. After you’ve checked your emails, of course. A little bit of stress is okay for you. A lot of stress is really bad for you. It’s much healthier to be relaxed. Not only is it healthier, it’s also the fountain of youth. In 2016, we’re just as obsessed as we ever have been about staying young. We undergo complicated invasive procedures, take “miracle pills” just so we can stay looking as young as possible for as long as possible. Yet all this time all you really needed to do was smile, take it easy – and relax. According to WebMD, stress can be so serious that it can take such a toll on your heart that it can cause high blood pressure and even potentially fatal heart attacks. Scary. Relaxation is a fantastically easy way of taking care of your heart. This is largely because it helps to calm us after a traumatic incident that causes a sudden rush of adrenaline, such as a break-up or a volatile argument. Relaxation brings us back down again, reducing our risk of having a heart attack right there on the spot. One of the biggest things we associate with getting older is impaired cognitive functioning. No longer are we able to solve problems as quickly or as accurately as we could in fifth grade. No longer can we give a straight yes or no answer to simple questions. And no longer can we engage in rapid and complex abstract thought or dream up concepts like we did when we were in our youth. No longer are we able to draw on our memories with lightning quick speed. Relaxing can boost your memory so that you are able to keep learning, thinking, imagining and conceptualizing well into old age. As we get older, it seems inevitable that our worlds will shrink. We retire from work. We stop using the car as much. Perhaps our partner passes away and our children move to another town. We don’t see our friends anymore and the mailman becomes our only contact with the outside world. Such isolation can lead to depression, which can greatly diminish the quality of your life. Moreover, people with depression are at a greater risk of developing dementia. 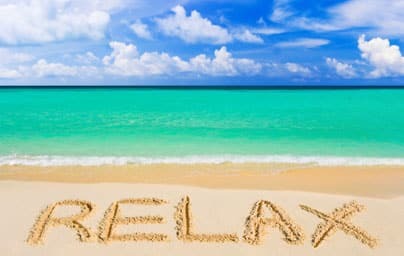 Relaxing has super psychological advantages; it puts us in a better mood, fills us with positivity, puts things into perspective, and gives us the right boost of energy needed to take control of our life. They might say that a little bit of stress is good for; it keeps you on your toes, makes you feel human, gets your blood flowing, etc. Over the long term, though, stress can significantly age you faster than you’d prefer. It can lead to all kinds of physical ailments, such as bad skin, cognitive decline, and high blood pressure. There is nothing quite like relaxation to reduce stress. Relaxation puts you in a much better place mentally, and cleanses you of all your mental woes. It gives you a feeling of pleasure and takes your mind away from those emails you haven’t sent, those calls you’ve not yet responded to, and those deadlines that are looming. Stress hormones are bad news. The release of cortisol is linked to belly fat production, the most dangerous type of body fat that shortens life span in both men and women. Stress hormones also affect vital organs and wreak havoc inside the body.